Why is regenerative medicine creating so much noise? Why are the research fields of stem cell biology, tissue engineering, biomaterials and regenerative medicine attracting so much funding from the Government and Venture Capitals? 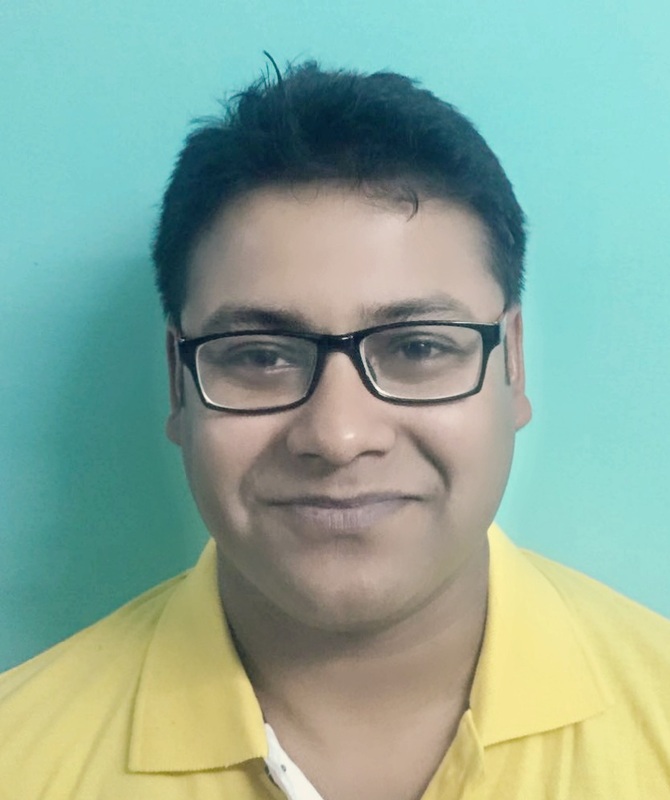 How to make a career in regenerative medicine and a career in stem cell research in India? What to study, and where? The biotechnology & biomedical sector has been creating a lot of enthusiasm (if not hype) for over a decade now. 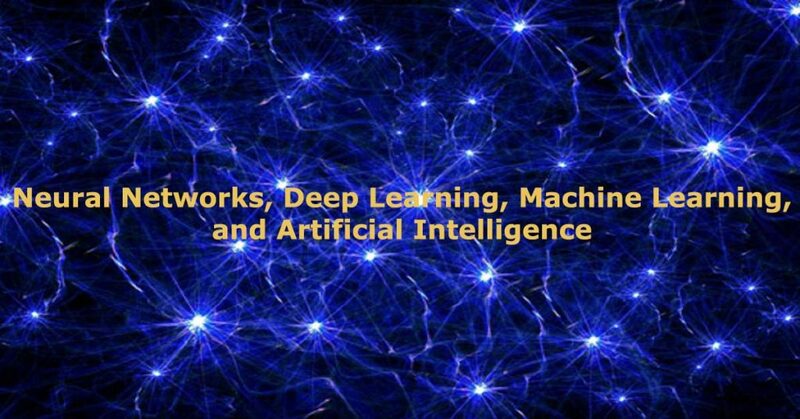 Experts like Bill Gates and Mark Zuckerberg say that Biotechnology (Biosciences) is going to be among the top three career paths along with Artificial Intelligence (and related technologies like Machine Learning, Internet of Things & Robotics etc.) and Renewable Energy. But, people are still very sceptical about career opportunities in biotechnology and biomedical science & engineering. It’s true that the research scopes in India are still very much limited due to various factors. The top three being lack of sufficient funding, lack of proper infrastructure, and the innovative mindset. However, in recent years, the fields of regenerative medicine, tissue engineering and stem cell therapy have caught the interest of the Government and Industry, including the VC firms. 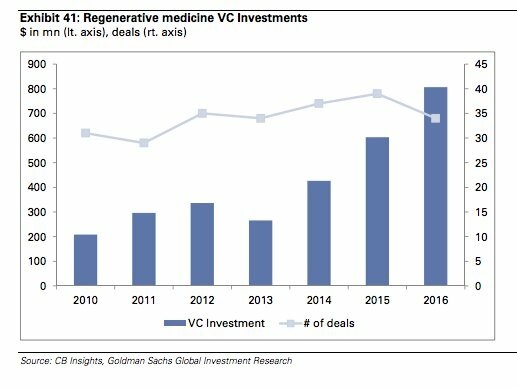 The VC funding in companies active in regenerative medicine has increased from $296 million in 2011 to $807 million in 2016 (Goldman Sachs). 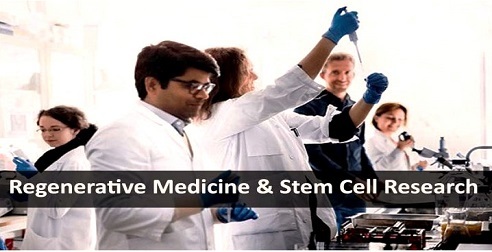 Stem cell banks are getting flourished across India, and several Indian start-ups are also working in the field of stem cells and regenerative medicine very actively. 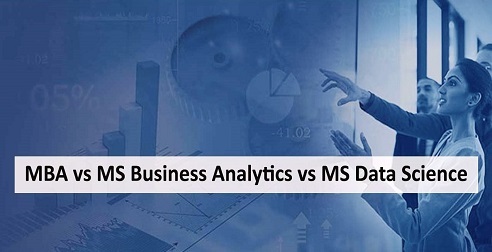 Some of the prominent ones are Advancells (Noida), Transcell Biologics (Hyderabad), Stempeutics (Bengaluru), and Pandorum Technologies (Bengaluru). Advancells also won the Best Stem Cell Technology R&D Company in 2017 and raked up INR 10 Crore in revenue in the last 4 years. VCs are betting big in the field of regenerative medicine, despite the low success rates of the companies so far, and other issues. Read more about India’s current development in the regenerative medicine sector. 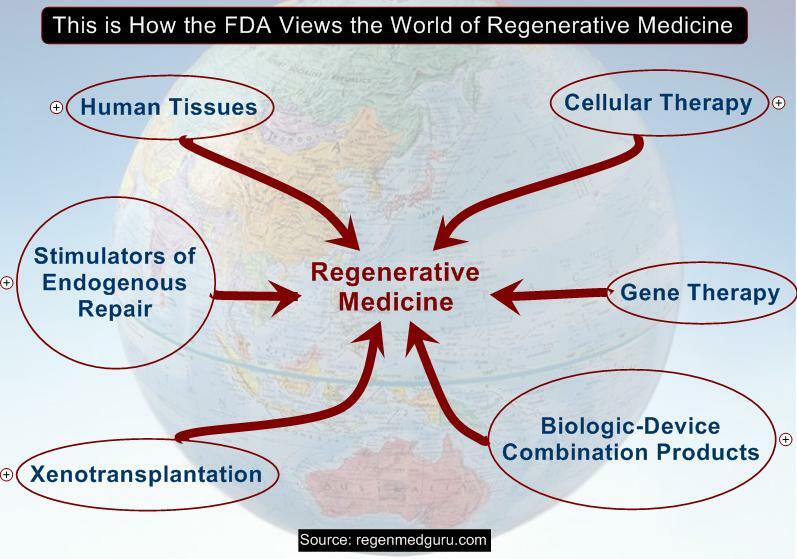 Why is Regenerative Medicine the Future of Healthcare & Personalized Medicine? You must be thinking, what is so unique about regenerative medicine? To put it in a simple way, the traditional medicine & therapeutics basically treat the symptoms of a disease. In contrast, regenerative medicine aims to treat the underlying cause of a disease. Traditional pharmacological approaches have been incredibly successful in treating various acute and chronic diseases and disorders. With time, those discoveries also enhanced our understanding of the underlying mechanisms of diseases and consequently led to innovative therapies that focus on addressing the causes of the disease instead of just treating symptoms. But, millions of patients still suffer from diseases for which there is no treatment at all. Regenerative medicine holds tremendous potential as it on the underlying causes of the diseases at the cellular level by repairing, replacing, or regenerating damaged cells in the body. Theoretically and practically, regenerative medicine can cure acute and chronic diseases like stroke, heart disease, diabetes, cancer, progressive neurological conditions, autoimmune diseases, trauma etc. Additionally, the populations in the developed countries are ageing rapidly. With this demographic shift, we will see an increased number of the elder people spending more on therapeutics and healthcare. So, the economic impact of regenerative medicine is limitless. In true sense, regenerative medicine has the potential to solve the problem of the shortage of organs available for donation to the patients who need life-saving organ transplantation, as well as solve the problem of organ transplant rejection, since the organ’s cells will match that of the patient. Know more why regenerative medicine has a bright future. I hope we have now got a basic idea about the potential and scopes of regenerative medicine. Now, we will go into a little detail from the scientific perspectives. I will try to explain in as simple words as possible. But, please feel free to ask questions in the comments section (at the end of the post), if I am not clear enough. Regenerative medicine (RM) is one of the most recent and trending branches of translational medicine. In terms of knowledge-base & practicalities, regenerative medicine revolves around tissue engineering (a specific niche within biomedical engineering), molecular & cell biology, immunology and stem cell biology. Its main objective is to replace, repair (or modify), or regenerate human cells, tissues or organs for re-establishing or restoring normal condition from a pathologic/diseased condition (severe injury or chronic disease). RM leverages body’s own repair mechanisms to functionally heal irreparable tissues or organs. When a human body gets injured or gets into a diseased state (including infection, cold, fever etc. ), the human body has got the innate immunity to heal and defend itself. However, the innate immune response is slow and not always too effective if it’s a very serious injury or a chronic disease. Here comes the RM. It has got the potential to improve the healing process of the body on its own and/or accelerate the healing process through clinical intervention. RM works towards repairing damaged tissues and organs and to find a way to cure previously untreatable injuries and diseases. Read more about how RM is transforming the Drug Discovery & Development paradigm. The three major areas of RM are 1) Rejuvenation; 2) Replacement; and 3) Regeneration. The rejuvenation branch focuses on boosting the body’s innate ability to repair itself. Research in this segment aims to improve the self-healing process on a cellular level. The replacement segment of RM involves implantation and transplantation to help with organ failure. In the US, more than 500, 000 Americans benefit from replacement therapies each year. Regeneration is one of the most talked about areas of RM. This branch focuses on cell-based therapies (stem cell therapy, bone marrow transplant) to help regenerate healthy cells or cell tissues so that optimum health can be restored or achieved. 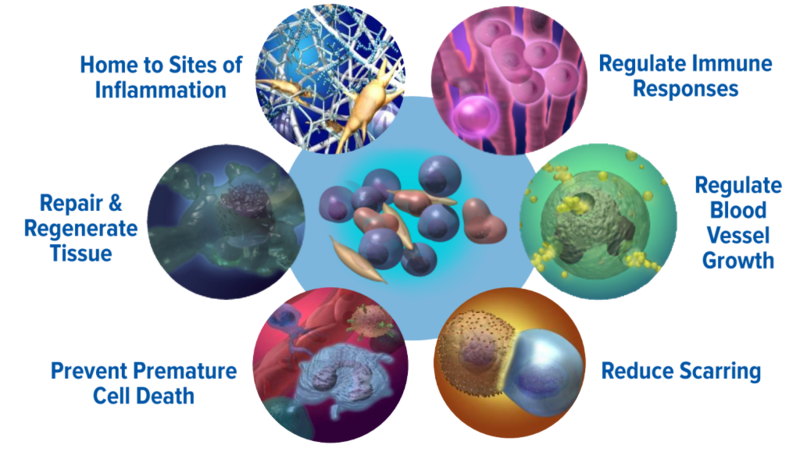 Most of the advancements in the field of RM have been possible due to the research in the field of stem cells, tissue engineering and biomaterials. In this post, I will discuss briefly tissue engineering and stem cells just to give you a background. Biomaterials are non-viable materials, which have been engineered to implanted and interact with biological systems for a medical purpose – either a therapeutic (treat, augment, repair or replace a tissue function of the body) or a diagnostic one. They may be of natural origin or synthesized in a laboratory, using a variety of chemical approaches utilizing metallic components, polymers, ceramics or composite materials. When used in a medical application, biomaterials can be implanted to replace or repair missing tissue. Biomaterials, such as bone substitutes and collagen membranes, are used regularly in regenerative dentistry as well as for bone and cartilage regeneration in orthopaedics. Tissue Engineering is a specialized branch of the broad field of RM, and also overlaps with the field of Biomedical Engineering. Few experts also distinguish by stating that Tissue Engineering aims to reproduce tissue in vitro, while regenerative medicine aims to repair tissue in vivo. 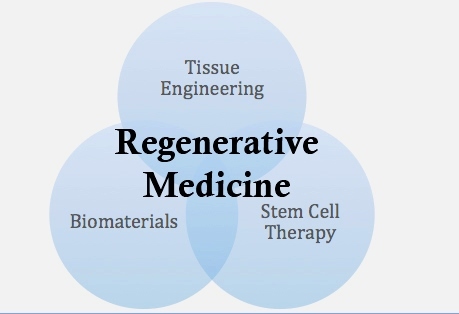 Regenerative medicine can also be considered as a branch of translational research in tissue engineering and molecular biology which deals with the “process of replacing, engineering or regenerating human cells, tissues or organs to restore or establish normal function”. Read more about Tissue Engineering and Regenerative Medicine. 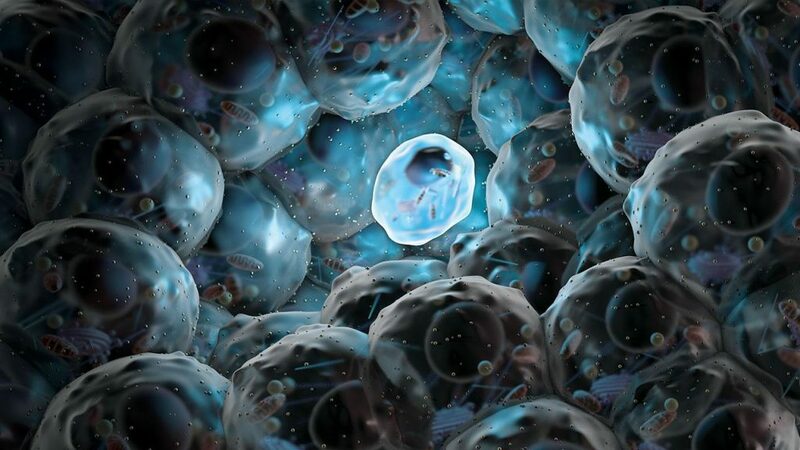 Stem cells, which are found in multicellular organisms (organs, tissues, blood, immune system), have got the unique ability to develop into various cell types in the body during early life and growth. Additionally, stem cells also serve as a sort of internal repair system in many tissues, dividing essentially indefinitely (yes, without any limit) to replenish other cells as long as the organism (human or animal) is still alive. On dividing, each new stem cell can become a stem cell or another type of cell with a more specialized function, e.g. a red blood cell, a nerve cell, a muscle cell, a cardiomyocyte (heart muscle cell) or a brain cell. Stem cells stand out from other cell types by two important characteristics. Firstly, they are unspecialized cells capable of renewing themselves through cell division, even after long periods of inactivity. Secondly, under certain physiologic or experimental conditions, they can be induced to become tissue- or organ-specific cells with special functions. In some organs, like gut and bone marrow, stem cells regularly divide to repair and replace damaged tissues. While in other organs such as the pancreas and the heart, stem cells divide only under specific conditions. The top three accessible sources of adult stem cells in humans are bone marrow, adipose tissue (lipid cells), and blood. Stem cells can also be collected from umbilical cord blood just after birth. Stem-cell therapy is the use of stem cells to treat or prevent a disease or condition. 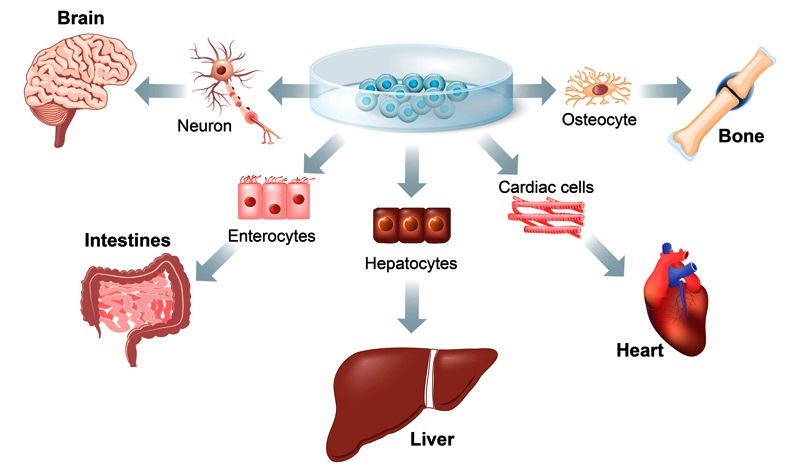 Although the bone marrow transplant is the most widely used stem-cell therapy, some stem cells therapies are also derived from umbilical cord blood are also in use for the treatment of neurodegenerative diseases and conditions such as diabetes, heart disease, arthritis, and so on. For the curious and intrigued readers, here is a brief history of stem cell research & regenerative medicine. Given their unique regenerative abilities, stem cell research is one of the fascinating areas of contemporary biology and medicine. However, much work remains to be done in the laboratory and the clinic to understand the applications of stem cells in the field of regenerative medicine for treating diseases. Apart from RM, stem cell research is also an important research area within the field of Developmental Biology, which aims to throw light on how an organism develops from a single cell and how healthy cells replace damaged cells in adult organisms. In reality, stem cell therapy could be regenerative, but not the other way around; regenerative medicine might or might not include stem cell therapy. 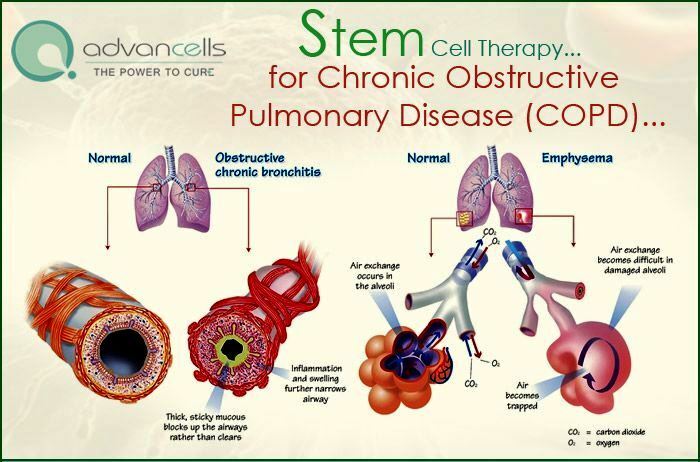 In India, the key areas where stem cell therapy can result in effective treatment are Neurological conditions, Orthopaedics, Chronic Kidney Diseases, COPD and other Lung diseases, Liver Diseases, Cardiology, Autoimmune disorders, Ophthalmic diseases, Infertility and Cosmetic Procedures. Stem cell therapy also holds the potential to treat a variety of other serious ailments like Type 1 Diabetes Mellitus, Rheumatoid Arthritis, Parkinson’s disease and various types of cancers. The field of stem cell research has been emerging as one of the most viable and exciting career options. Researchers grow stem cells in a lab. These stem cells are manipulated to specialise in specific types of cell – heart muscle cells, blood cells or nerve cells. Later, the specialised cells can then be implanted in a person. For example, if the person has heart disease, the cells could be injected into the heart muscle. The healthy transplanted heart cells could then contribute to repairing the defective heart muscle. The stem cell therapy market in India was valued at INR 1 billion in 2013; this is expected to reach INR 2 billion in 2018. India is a major biotech player in the Asia Pacific region. Karnataka, particularly Bengaluru, is a major hub in work related to stem cells. What to study for a Career in Regenerative Medicine? At the Bachelors level, you can study B.Sc. (Biology, Biomedical Sciences, Bio-Physics, or Biotechnology), B.Pharma., B.E. (Biotechnology or Biomedical Engineering), BDS, BVSc, or MBBS. At Masters Level, you can opt for Biotechnology, Biochemistry, Genetics, Zoology, Biophysics, Microbiology, Translational Medicine, Molecular Medicine, Developmental Biology. Stem Cell Biology, Life Sciences, or Biomedical Sciences. There is also an option available for M.Sc. in Regenerative Medicine (e.g. MIRM Bengaluru in India, or abroad).